Ryan John Campbell (born 7 February 1972 in Perth) is a former Australian cricketer. Known as , he played for the Western Warriors as a wicket-keeper and as a quick-scoring right-handed batsman, often as an opener. He is also a commentator for Channel 10 Australias coverage of the Indian Premier League and Champions League Twenty20. He was in the Australian Cricket Academy in 1994 and made his first-class debut for the Academy side against the NZ Academy in 1995, alongside future Australian test stars Andrew Symonds and Brett Lee. 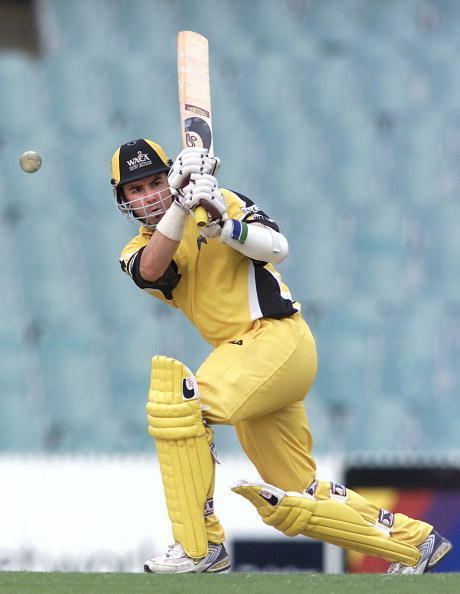 He then made his List A debut for the Warriors as an opening batsman in February 1996 against Victoria. His first-class debut for WA had to wait until Adam Gilchrist was selected for an Australian XI vs the visiting West Indies cricket team in November 1996 but he maintained his place in the side as a specialist batsman and ended the season with the fastest first-class century and half-century of the 1996/97 season. The batting highlights of his career were an innings of 108 runs off 85 balls in the 1999/2000 Mercantile Mutual Cup final and 203 runs from 222 balls against Queensland in a 1999/00 Pura Cup match. As a wicket-keeper, his 99 dismissals in one-day matches for WA are a state record and his 242 Sheffield Shield/Pura Cup dismissals are the fourth highest for Western Australia. Campbell played two One Day Internationals for Australia, filling in for Adam Gilchrist as wicket keeper. He has also represented the ACB Chairmans XI, Australia A, Australian Prime Ministers XI and Australia in the Hong Kong International Cricket Sixes tournament. He retired from professional cricket at the end of the 2005-06 season. At his retirement he revealed his 2-year battle with depression that nearly resulted in premature retirement in 2001. In 2007, Ryan joined Nova 937 as the sport reporter on the breakfast show with Nathan and Nat, replacing Tim Gossage. He has also commentated Ford Ranger One Day Cup matches for Fox Sports.